Years ago I never imagined Greenland would be a destination of mine in the near future, that country that looked so huge and completely white on the map was not really on my mind but now, sometimes it is all that is on my mind. I got on the plane with Bjork, my cousin, from Iceland and headed over to Greenland for flyfishing. As we flew over Greenland I saw the most dramatic nature I have ever seen from above, there was nothing but ice, big and small, floating and icebergs all over the place. I zipped my jacket up and got quite cold watching this and laughed that I brought mosquito spray , I could just as well be on the north pole! As ever before the last laugh was on myself as I landed and looked like an fully clothed Eskimo stepping from the plane in 19°c and got greeted by a mosquito on my way out! I met with the group at the camp and Simon, a longtime friend and camp manager, as we arrived to the lodge, which looked absolutely amazing in this remote area and luxurious within walking distance from the home pool. I have been fishing ever since I can remember and I have been blessed meeting a lot of great people through fishing and hearing their stories. I love being around other people and hearing about their journey and with this blog I hope to bring both mine and other anglers stories to life. Not stories about who caught the biggest fish or how. 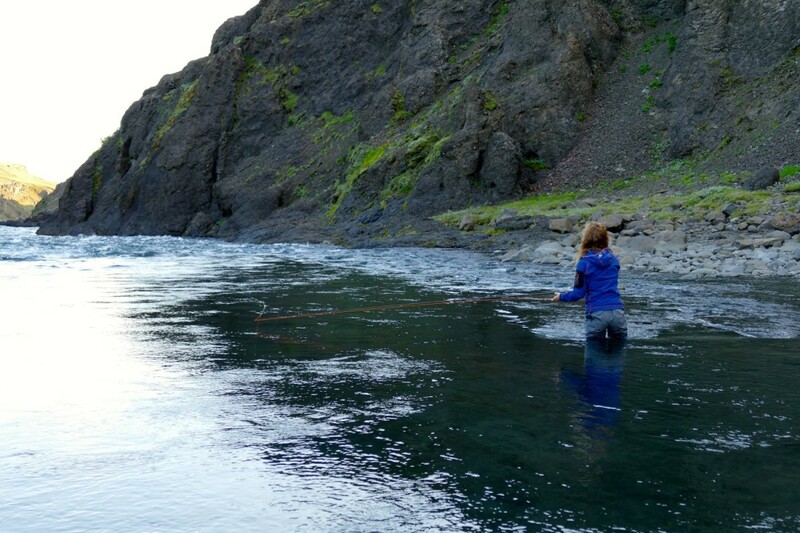 But their memories, because sometimes fishing is not about the biggest fish but the journey behind it – the nature, the learning, mishaps and the people you meet along the way. For me that is fishing.